Room rate for all rooms are $119/night. Deadline for reservations is May 30, 2019. Reservation deadline is June 10, 2019. Don will be attending the state convention. National Convention in Grand Rapids Michigan. Prior to that Don served on the National Board as an Exucitive Committeeman from 2008 to 2018. Don brings an extensive labor relations background to the position of Vice President with close to three decades of experience as a steward at every level in the organization. He has been involved in three rounds of collective bargining as well as National Interest Arbitration. Some of his duties include; Editor of the National Rural Letter Carrier magazine, assisting with rural carrier retirement issues, National involvement in the training academies, negotiating contracts and oversight of National Conventions. Don seved on the California State Board as an Executive Committeeman for three years, Vice-President for two years, State President for two years and served as California's full time State Steward prior to being elected to the National Board. 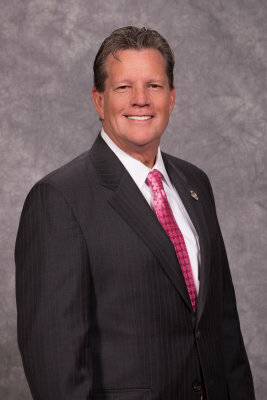 Don served as a member of the National Legislative Committee, Steward Task Force One and on the National Resolutions Committee as a member and chair. His route is a K45 non-L in Malibu Canyon, serving 453 boxes and is 57 miles long. His route receives both DPS letters and flats and is assigned an LLV. He is happily marrier to his lovely rural carrier wife Michelle and has two grown daughters, Samantha and Taylor.